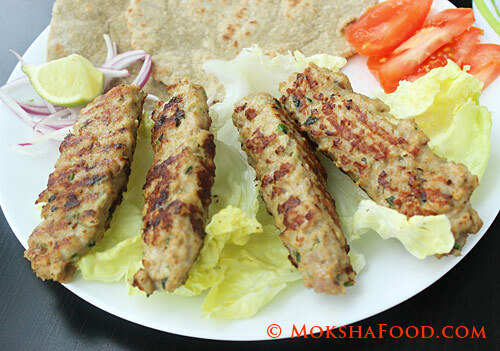 Chicken Seekh Kababs are minced meat logs which are stuck around a seekh or iron rod and then grilled to perfection in a hot tandoor. I don't have the luxury of seekh rods or a tandoor at home. 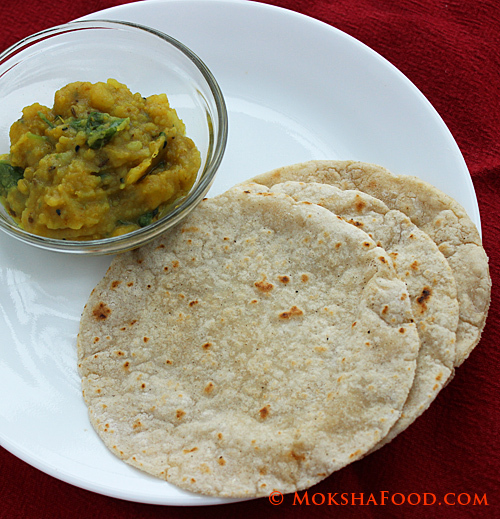 This is an easy recipe to create similar taste in your home kitchen on a grill pan. I did miss the traditional charcoal flavor but it tasted good nevertheless. Usually I always trim out the fat from the meat. 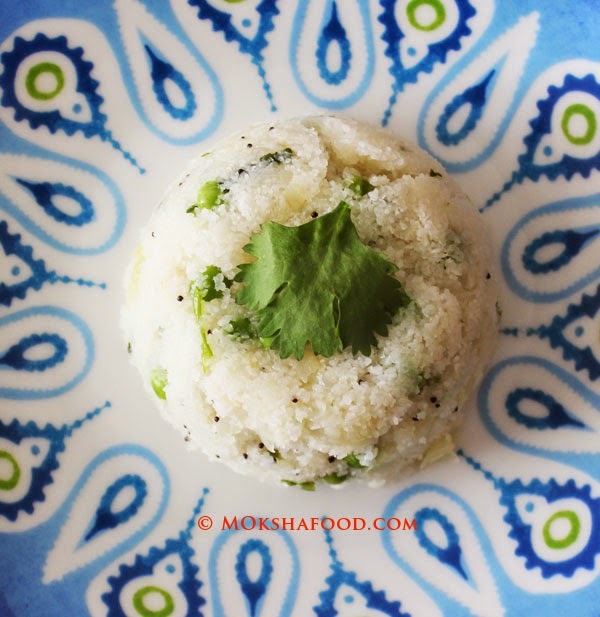 But you really need the fat in this recipe to maintain the moisture and the flavor. In fact ask your butcher for some extra fat while grinding meat for kababs. I have used chopsticks to mold the kabab over. If you intend to cook it on the stick then soak them in water for at least 20 minutes before using to prevent them from burning. I choose to only shape it on the chopstick and then pull the chopstick out to only get the meat in the log shape. 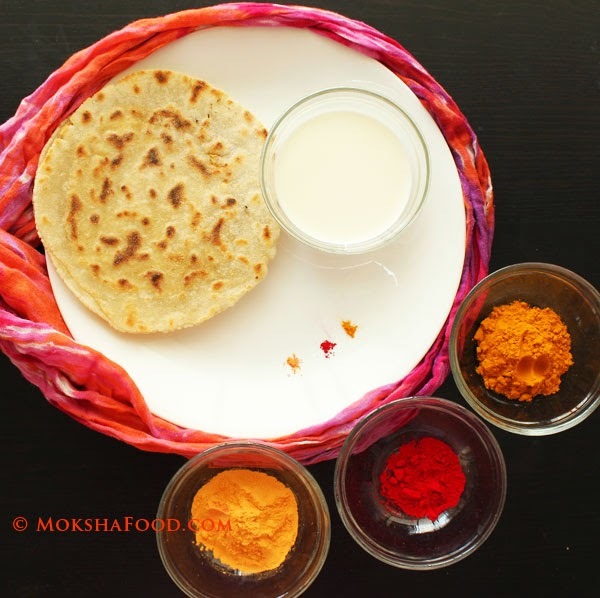 The rice flour is added to absorb the excess moisture and also as a binder. Add as needed. Heat a grill pan to medium heat and brush with oil. Take a fistful of meat and wrap it around the chopstick. Press to keep in place. The meat will look like a log on the stick. If you have soaked the chopsticks on water earlier, you can directly cook the meat with them on the flame. Or else gently pull out the chopstick and place the log of meat only on the grill. Grill them turning on all sides a few times till they are evenly cooked. Serve hot with salad and your choice of bread. 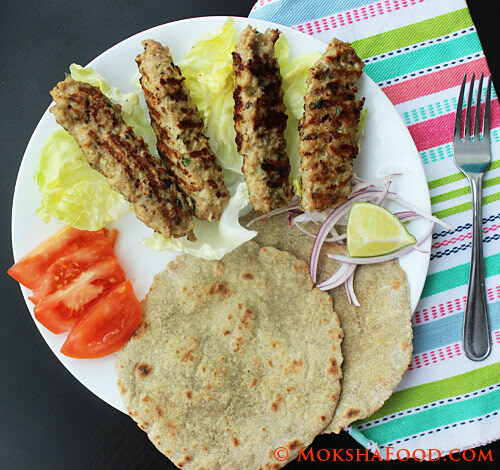 I served these yummy grilled Chicken Seekh Kababs with bajra chapatis / millet flat bread and salad.